The Wizards held firm at home to the Clippers, winning 104-96 while the Knicks were strong in Boston, defeating the Celtics by a score of 95-101. The Hawks won a tight match in Atlanta against the Magic by a score of 87-81 while the Grizzlies edged past the Hornets by a score of 113-117. The Cavs lost again, downed 119-114 in New Orleans and the Pistons won a tight match in Phoenix by 103-105. The Bulls grabbed a great win at home to Portland, 115-106 being the final score and the 76ers suffered another defeat, losing in Brooklyn by a score of 88-70. The Raptors trounced the Pacers by a score of 106-94 and the Thunder grabbed a big away win against the Timberwolves, winning by 92-111. 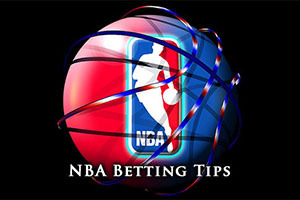 The Heat won in Utah, triumphing by 95-100 and the Lakers won in San Antonio, the Spurs losing 110-112. The Warriors come into this match with a tremendous 19-2 record behind them, and an impressive 11-1 record away from home. The thing is, the Mavericks hold a 17-7 record which is impressive by itself, and their home record of 9-3 suggests that we have a big game to look forward to in this one. The Mavericks won their last game after a loss, and hold a 3-2 record in 5, but the Warriors are on a winning streak of 14. Monta Ellis grabbed 13 of his 26 points in the final quarter in the 112-107 win against the Pelicans on Wednesday, which was a big improvement of a poor showing on Tuesday night in Memphis. The Warriors are currently the best ranked team in the NBA, winning their previous 14 games by an average of 13.3 points, a run that was bolstered by the 105-82 win against Houston on Wednesday. Andrew Bogut and David Lee are causing concern for the Warriors while Raymond Felton, Monta Ellis, Chandler Parsons and Jameer Nelson all have knocks and niggles to contend with for the Mavericks. Taking the Warriors with a +1.5 handicap at odds of 1.90 is likely to be a sensible option in this game. Bet Now! The Nets hold a 9-12 record, with a 4-6 record away from home, while the Hornets hold a 6-16 record, with a 5-7 record at home. The Nets come into this game on the back of a win while the Hornets come into this game on the back of a loss. Both teams hold a 2-3 record in their last five games. The Nets got back to winning ways by defeating the 76ers but for the 13th in 14 games, the Nets fell short of 100 points, although the 88-70 win was very welcome in Brooklyn. Then again, the Hornets grabbed 100 points on Friday night, but it did them no good, losing out 113-107 in Memphis after two periods of overtime. Kemba Walker managed to grab 28 points while Gary Neal came off the bench and picked up 25 points. The Nets have no real injury concerns while the Hornets will be carefully monitoring Michael Kidd-Gilchrist and P.J. Hairston, with hope that the latter is ready for action again. The odds of 1.90 available for the Hornets with a -3 handicap look to be of benefit. Bet Now! The Clippers are currently 16-6, with an 8-3 record away from home, while the Bucks hold an 11-12 record, with a 6-4 record at home. Both teams come into this game on the back of a defeat though, the Clippers lost their last game while the Bucks are on a losing run of two. For the last five games, the Clippers hold a 4-1 record while the Bucks have a 1-4 record. The Clippers turned in a poor performance in Washington on Friday night, losing 104-96 to the Wizards while the Bucks were massively out-rebounded by the Thunder 54-31, in a 114-101 loss. The Clippers have a number of injuries to contend with as Jordan Farmar, Reggie Bullock, Chris Douglas-Roberts, Spencer Hawes and Jamal Crawford are all in various stages of contention for the game. The Bucks are keeping an eye on John Henson and Ersan Ilysova. Taking the Clippers with a -5 handicap at odds of 1.90 is a very sensible bet for Saturday. Bet Now!